Is your new puppy more whine than roses when he’s in his crate? Is the joy of your new family member wearing thin because it won’t stop crying and whining? Well, it’s time you take the lead. Crate training a puppy can be frustrating, but the earlier you start, the better. The good news is — there’s a lot you can do to nip the crate whining in the bud, so it doesn’t become a prolonged problem. 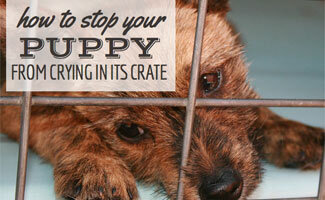 Will Your Puppy Ever Like Its Crate? For sure, but it’s important that you ease him into it the right way. Dogs are instinctively denning animals, and they find comfort in having their own pad. But first, puppies need assurance that their new crate is a safe, inviting place — not a cage that serves as a long-term babysitter or a tool for punishment (it’s not a time out chair). Easier said than done, right? If you take the lead and follow the steps in our article, Crate Training Your Puppy: The Key To A Pee-Free Home, it can be a relatively painless process. Remember: keep your eye on the prize! Your end goal is for your puppy to want to be in its crate! Why Is Your Puppy Still Whining In Its Crate? 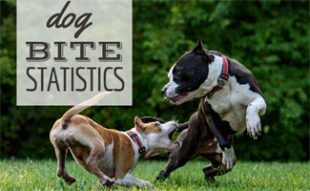 So, you followed the initial crate training steps, but your dog is still whining. It could be that you went through the process too quickly. Try again more gradually. If your dog continues to cry, don’t go to it or pay attention to it. It’ll quickly learn that whining will get your attention, and then you’ve got a significant problem on your hands. It’s not only okay for your puppy to be in its crate alone, but it’s also beneficial for future behavior and temperament — it fosters independence and helps stave off later issues with separation anxiety. With that said, it’s crucial that you don’t overuse the crate or make it a place of punishment. Leaving a puppy in its crate for long periods of time or putting it there too frequently can be a trigger for whining and crying. Dogs are incredibly social animals and need companionship. If you do have to crate your dog more than you’d like (long workday, tons of errands to run, etc. ), make sure you spend time playing with or taking it on a walk in between crate times. And don’t forget that a puppy’s bladder can’t go for long periods of time without relief. According to the Animal Humane Society, leaving a puppy in a crate for an 8-10 hour workday is “not an appropriate way” to crate train. If you have times when you can’t be there, ask a neighbor or hire a pet sitter to give your pup a break. The more attention it has while outside of the crate means less time whining and crying once back in the crate. What About A Puppy Whining At Night? You don’t have to lose sleep over your puppy whining in its crate at night. First, you need to make sure you’ve taken care of its needs before bedtime. Puppies have a lot of energy (as you well know! ), and they need to work it out before going in their crate at night. Take your dog on a long walk and play with it, so it burns off that energy. Does It Need To Relieve Itself? Bathroom breaks are critical, especially for puppies whose bladders can’t last long. Make sure your puppy does all its business outside as close to bedtime as possible. Don’t worry — the older it gets, the longer it’ll last! Make sure you have good bedding and some of its favorite toys in the crate for the night. Consider the room temperature in the crate room. Puppies and smaller dog breeds can get chilly quickly, so make sure it’s not too cold where you’ve placed the crate. And if the crate is too large, your dog could feel intimidated. Read our article on choosing the best crate for your dog for some recommendations. Or if you’ve got the space, you might try a larger playpen. If you’ve done all you can to satisfy your pup’s basic needs, consider putting it to bed with a chewable treat or toy that will keep it occupied until it gets sleepy. This will distract your dog. If it continues to whine, don’t go to it. The same problem will arise — if you acknowledge your dog’s whining with attention, it’ll learn that all it has to do is whine and you’ll be there. As hard as it might be, let your dog settle itself down. After a few nights, it should be trained to know that whining and crying in the crate won’t get it anywhere. We couldn’t resist sharing this funny video of what can happen if your dog doesn’t like its crate. You don’t want an ongoing battle with your pup. It’s not easy housebreaking a puppy — remember, it is in a new place, away from its mom and litter. Try to remember that this is an all new environment, and it needs time and reassurance to adjust. 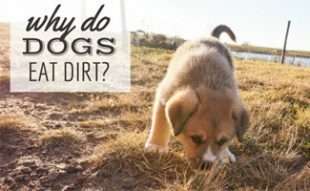 As time-consuming and frustrating as crate training (and other puppy behavior problems) might be at first, your hard work will surely pay off in the long run! And if you still find yourself struggling, you might look into professional training (especially while your dog is young). We recommend Doggy Dan’s online course or a local dog trainer. What methods have you found effective to curb your puppy crying in his crate? I have a dog who is 7 weeks and a day. I know he’s super young but he’s been waking up and waking me up along with him. How do I get him to stop? He’s an Aussie Shepherd and a Collie mix. So I went through two different crates and two beds to get this right. I use crate at night and when hes sleeping during the day. Had my 10 wk old chi for 2 weeks which as felt like 2 years with a cat and a border collie to contend with being curious about the new whiny baby. Had a playpen from training the cat thinking this was okay in the kitchen. To a baby chihuahua this was like a warehouse and it was used as a time out. Big mistake. Bought smaller crate and trained on grass puppy pads, crate moved to bedroom and moved away from regular puppy pads. Potty use been correct all day for first time and had treats and toys on the new bed in his new crate all day with the door open. Treat and praise everytime he walked in there by choice. Tonight first night in his new crate. He cried for 10 minutes. Used all methods combined. Banged twice with no and he got real mad at me and started barking. Then went to his cries and picked him up just to place him back to the back of his crate with a good stroke and a good boy. Did this twice. Then ignored cries completely, waited for a long pause – I was ready and waiting for it so be ready to quickly walk over. Grabbed a comfy blanket-like pyjama top of mine (worn not washed) and wrapped this loosely around him with a good stroke and a good boy. Not a peep since. First time in 2 weeks. I hope ive not just gone deaf. Please help! I have a cocker spaniel puppy who is almost 6 months old. When we first got him my partner refused to use a crate so he slept by the side of our bed. I’m such a light sleeper, every time the puppy moves or snores I woke up. After a few weeks of no sleep he agreed to try a crate. I’ve tried crate training (am still doing this daily). If we put the crate in or near our bedroom he sleeps fine and through the night. As soon as I move the crate to the kitchen he whines and barks like mad. I tried sleeping in the kitchen and this worked fine. I’ve had a couple of nights where he’s slept in the crate in the kitchen but I’m now back to him crying. I can’t have him in the bedroom as I literally don’t sleep, I’m exhausted and have been getting ill as a result. We’ve consulted a behaviourist who said never let him cry in his crate so for the past month every time he cries we’ve been getting up to let him out (no fuss) then back in and repeat-it’s not worked. There are so many mixed opinions on whether you should let them cry it out or not. To me it seems all the trainers and behaviourists say don’t but anyone I speak to who owns a dog said they let theirs cry it out. We never leave him during the day at home alone. Either I’m working from home or he’s with a doggie day care person. He’s a happy pup, has everything he needs, lots of walks, play, training, right food, relieved himself, toys, chews, blankets but nothing is working. I have to sleep but don’t know what to do. Please help ! Correct the dog!!!! Tap top of crate with a firm no. All the dog knows is, if he whines he gets let out. I agree worth the behaviorist on one thing only, to not let him cry, but you don’t let him out every time he cries, you correct him. Telling a dog no is not bad!!! How the hell are they supposed to know what is right and what is wrong. You were teaching the dog to whine to get out. He gets exactly what he wants so why would he not whine? These behaviorists are going too far. Another thing you may want to try is leaving the dog. If you were there all the time he never learns to entertain himself, creating separation anxiety. Try putting on some music and give them an article of clothing that smells like you. These things help comfort them. Hi I have a 9 week old teacup chihuaha, he sleeps throughout the night in a secluded area with doggy gates but as soon as he hears my husband leave for work at 4 am he starts crying and howling like its the end of the world and won’t stop. He has even managed to climb over the gates. I know he shouldn’t be left alone for a long time so I come home for lunch but as soon as I leave he howls and cries, I’m afraid my neighbors will start to complain. Any tips to ease the separation process? 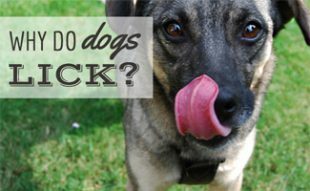 Sounds like your dog may have some separation anxiety. You may find this article helpful. I did think this but now changed my mind. I think it’s a great way for a puppy NOT to get separation anxiety. I think all dogs need an alone place that is theirs with their bed, food, water and potty area. I bought a round tent type one for $27 on Wish for our pup coming in 4 weeks. It’s also a good place for a dog which is not toilet trained to be enclosed and not learning the wrong places to do his/her toilet. Why are you so against them? Oh my goodness we should give Nobel peace prize!! For the trainer who found this. Hi as I speak now it is my second night with my our puppy, first night crying most of night I gave in at 4.30 in morning now on second night he’s been crying on and off since 9.o clock, we have had a good two days with him playing wearing him out, I’m going to tough it out trust me it’s hard work all I want to do right now is cuddle him and tell him all is OK, I’m knackered but if I give in it will be worse the next night and so on and so on, my advice to anyone is it won’t last forever, he has to learn that bedtime is in his crate and the only way is leave him or her alone they will learn I know its painful I’m doing it right now, but I know it’s the right thing to do, be strong pet lovers and good luck daren. Our puppy is 9 weeks, a Lab/Australian Shepard mix. When we put him in the crate and close the door he immediately starts barking, whines, cries and howls non-stop (was told by a neighbor he did this for 2-3 hours). We started him off slow by putting treats in the crate and providing a lot of positive reinforcement for going in and out of his crate. We started him off by blocking his sleeping area off and leaving the crate open while we sleep. When we block off his area and go to bed he only cries and barks for about 5-10 mins before going to bed. We are currently taking him out every 2 hours (no accidents) and when we wake up to take him out he is sleeping in his crate. Any suggestions on who to get him to stop barking and whining? And does this sound like a crate training issue or a separation anxiety problem? Hi. I have a puppy for myself and sometimes it’s hard leaving him alone. Try teaching him that you will not be there at that certain time. Try leaving him in a room for 1-2 minutes. Than enter and give him a treat. Than do 4-5 minutes and do the same. But when you enter try not to pay to make the pup to enthusiastic. I’m new to the puppy training and i’m an idiot and punished my puppy when she was bad so i put her in her crate. she now if so afraid of it she won’t even go inside. I am trying to kennel train her and not make her scared of the crate. if anyone has any tips or tricks to undo my mistakes I would be so grateful! Also be consistent during the day with training in his crate. Idk if this will help anyone but my puppies were wanting their mom and wouldn’t shut up (they just ate and pottied so they’re good to go) so I took the blanket from her kennel and put it in theirs. Their mommy got a fresh blanket. Just having her smell all wrapped around them was all they needed and they went right to sleep. I’ve tried all of this and and nothing is working. Currently lying here being kept awake from my puppies howling and barking the place down. She’s almost 4 months. It’s becoming insane she won’t stop. Than at this point try putting her in wherever she sleeps or stays. Stay there for 2 minutes or so and don’t make eye contact. If she howls even louder leave the room than enter (again, without eye contact) if she stops howling or barking even for a few seconds, give her a treat. (No too much to not get her hopes up for treats all the way) repeat it and hopefully she will slowly get that if she goes quiet, she will be ok and get a reward. After if it works. Don’t feed her like you did when u started. We recently got a 11, nearly 12 week year old Brittany Spaniel. First night we kept her in a caged area, where she whined and cried and we got her out twice. This night, I just moved her to crate, since I heard it has to be done ASAP. I have put in a blanket, and I tossed in a toy that she chews on. Any other advice would be helpful to me, thank you. I have an 8 week old mini Australian Shepherd and like many people here, I’m having a very rough time with the crate especially at night. I put him in the kennel and he immediately starts YELLING like not even whines or howls but eat-piercing cries. It goes on for hours, all night. I take him out about halfway through the night, but I’m worried that encourages him to keep crying? Even my neighbors hear it and ask what’s going on. I make sure he’s fed, drank, relieved himself, and I put him in for the night when he’s already fallen asleep. The kennel is comfortable with a bed, his favorite toy, chew toy. I’m at a total loss. OMG – THANK YOU FOR THIS COMMENT!!!! I was dreading another night of no sleep and just tried whacking the crate and saying No! it took two times and she’s been silent since! I just told my husband, “Wait…it couldn’t be that simple, could it?…” You are a lifesaver, Yolanda B!!! hahahah this comment is a lifesaver. my 8 week old boxer pup would cry/whine non-stop in his crate even though we introduced him to it perfectly (open door, treats, let him explore/good environment). first night i tried everything.. to no avail. second night i read your comment and tapped the top of his cage with a firm – NO. he lowered the volume 90%. I did it again as soon as he started whining (instantly). he lowered it again to where it was barely audible. I did it once more for good measure and he stopped altogether. Rewarded with treats (he was hiccuping and trying to calm himself down). The crate hit worked!!!!! Will be my first night sleeping in a week!!! Thank you!!! I’ve tried this with my 9 week old cockapoo but he now seems scared of the crate and wee’s on all his beds. Anyone else had this problem, it’s driving me mad and his breeder isn’t much help. I’m starting to go out of my mind. Please help. It works for 6 of 7 of my pups but I still have one that screams….I’m looking for homes for these pups. However its now been a full week of sleepless nights. For the love of God please help me! Omgggggg this worked!! I did it twice . The first time my 13 week old Shihpoo got 85% quieter. The second time he went completely silent lol. I hate it had to come to it but it literally was the only thing that worked I haven’t heard a peep from him since. My pup won’t stop crying. I hit the top of the crate and he cries harder. Hello,I have an 8 week old goldendoodle puppy. He is very calm I. The day. At night… never wanted to say this… but he might be the spawn of Sat–. That is how bad this is. I have tried everything, I showed him his new bed. Gave him his favorite chew toy, and I was in my bed falling asleep… when I heard *puppy whining*i never slept in 2 or 3 days … can someone please help? Hi I’ve fetched home my 8 week English bulldog yesterday. last nite I stayed downstairs in the living room with him as things were different and new. I have a crate is it too early to introduce him to the crate as I fear he may cry to come out as it’s only been just over 24 hours in his new home. Plus the neighbours to consider. He as blankets in the crate plus one with his mum’s smell. Any advice would be great thanks so much. We have a 8nths and a bit German shepard dog, it’s his first night in the crate we covered three sides up so only the door side is clear but the door to it is on the side, should we cover the sides and leave a large section open. We had him 2months, and we just started crate training with him and puppy school. Any advice would be great thank you! I have an eight month old miniature dachshund mix. She’s been crate trained and sleeps in the crate at night. Starting a couple weeks ago every morning at 3:30 she starts up crying/whining/screaming. I took her outside thinking she had to go to the bathroom the first couple nights, but she still won’t settle. She keeps up crying/whining/screaming until I wake up around 6:45. I have no idea what to do. I’m absolutely exhausted! Is she getting adequate exercise? My husband and I were thinking about taking him to ‘doggy school’, but then again, it’s extremely expensive, and the nearest ‘doggy school’ is far away from us. Maybe you have some advice? THANK YOU!! We have a 6 month old GSP, she has been crate trained right off the bat at night with no issues. She would sleep all night with no whining. The last week she was started whining at 4 am every night. Last night we blocked her off in the entrance way ( same room) with her crate door left open and her bed beside it. Still whined from 4 to 6:30 am. Any suggestions from regression with the crate. I’m sorry you’re having this issue. Here are a couple other articles that may help you. Hey, did you manage to solve this issue? If so, what did you do? I have the same problem with my 12 week old beagle. Thank you. Same issue with my 13 week old puppy. Also waiting to see if anything worked since the original post was a while ago. I’ve read as much as I can and tried everything. Can’t get past a few minutes without whining / barking. Maybe 10 minutes if there’s a stuffed toy with her, but the second she finishes it’s immediate barking. Hoping to hear a positive end to a crate training story. We have an 11-week-old puppy and we’re trying to follow the rule of not going to her when she whines. We have kids, so we certainly know from experience that you don’t want to reward that kind of behavior. The problem is, if we don’t go to her, she often pees in her crate. This leaves us up at night, listening to her cry, wondering if we need to get to her or not. And when we try to leave her to learn not to cry for us, sure enough, eventually we have to go check on her and there’s a wet spot on her bedding. What do we do? Sounds like she’s not quite ready to be left the entire night without a potty break. I suggest getting up with her at least once in the middle of the night to take her outside to go potty. At 11-weeks old this is typically behavior since most dogs this age are not potty trained yet. Thanks. This is our first time raising a puppy. Also, since she’s so big (Malamute) sometimes I think we forget just how young she is. So how long might it take for her to get comfortable with the crate? Is there an age she should be or a sign to look for before we can be trying to ignore cries in the crate? I need to leave her in there for a short time every afternoon to pick up the kids from school. I can’t take her with me onto school property and I can’t leave the house with her out of the crate. But when I return, she has peed in it. What can I do and how detrimental to crate training is it if she pees in there? Great questions, Jess. Here are some articles that I think you’ll find helpful. 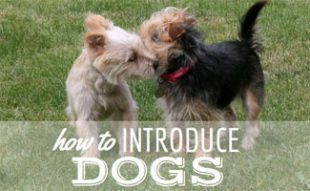 Housebreaking Puppy: The bullets under “How to Potty Train a Puppy” are key. Keep in mind that repetition and consistency are important in both potty training and crate training. If you still have questions let me know and I’ll do my best to try to help! Is the crate too big? Only leave enough room for her today down etc.